In Sierra Leone politics and of course the country’s economy, Kono District plays an important role. And in the 2007 and 2012 presidential and parliamentary elections, which brought President Ernest Bai Koroma and the All People’s Congress (APC) to power, political dynamics in Kono changed drastically in favour of the APC. There has been a lot of political discussion in and out of the country following the removal of Chief Sam Sumana from the Vice Presidency by His Excellency President Ernest Bai Koroma. 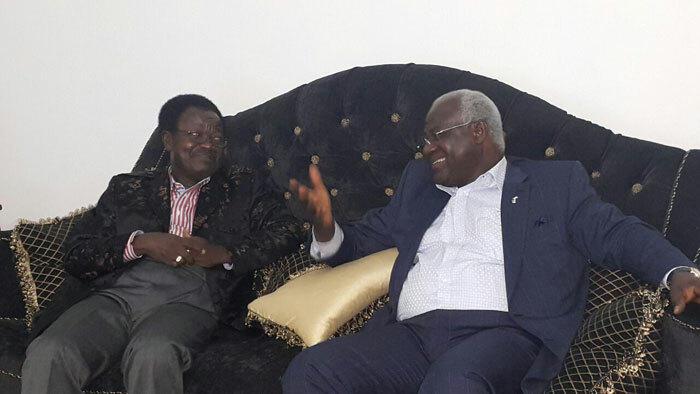 Whiles the matter is now before the Supreme Court judges, it is business as usual for state governance as members and supporters of the All People’s Congress continue to stand strongly united behind the party chairman and leader – President Ernest Bai Koroma. There are many key players in the APC – a grass roots political party that draws country wide support from across Sierra Leone and the country’s tribal groups. But of traditional and historical significance, Kono and the APC share many commonalities. The 1967 general elections and the ouster of the SLPP from power by the APC, was an African first for an opposition party to defeat a sitting government. 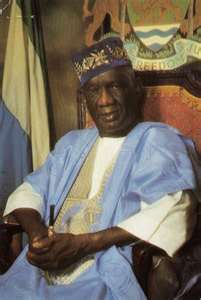 (Photo: Former president and chairman of the APC – Siaka Stevens). This electoral success was the result of careful political planning and excellent collaboration, to which Kono was pivotal. And this was repeated in the 2007 elections, which brought President Ernest Bai Koroma to power. On Monday 18th May, a large delegation from across Kono District, made up of eminent indigenes, including Members of Parliament, Ministers, and Ambassadors, paid a courtesy call on the Vice President to formally register the District’s unflinching support and loyalty to President Koroma, the APC and Vice President Ambassador Victor Bockarie Foh. 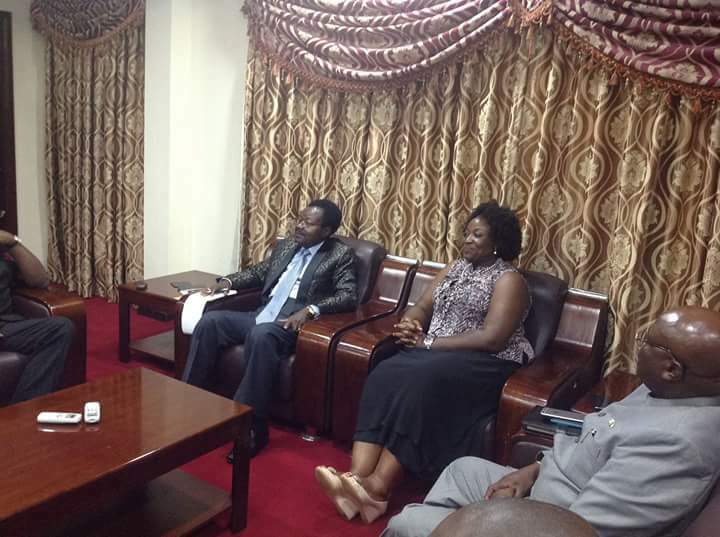 They also expressed thanks to President Ernest Bai Koroma for his decision to appoint Ambassador Foh as Vice President of Sierra Leone. “The appointment is a Master Stroke”, they echoed. 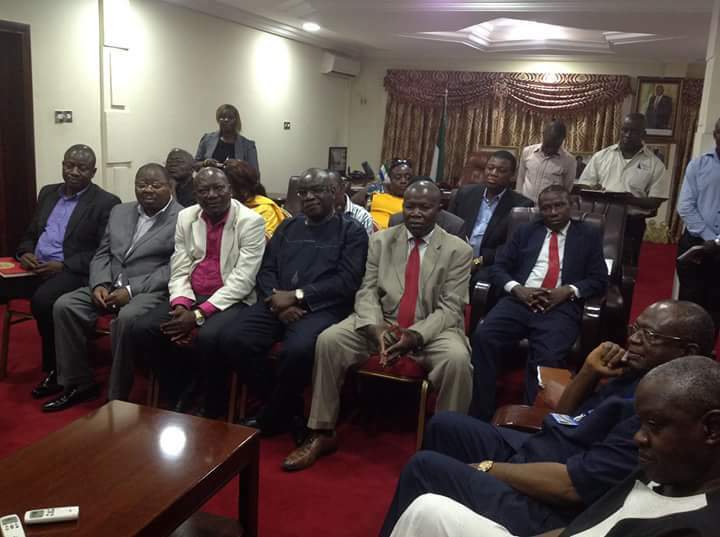 Local Government Minister – Diana Konomanyi, who is also popularly known as ‘APC Iron Lady’, led the delegation. She declared that Kono shall remain loyal to the president and the APC, and that Kono District supports the Vice President – Ambassador Victor Bockarie Foh, who has an enviable and unequaled, non-to beat, track record of unwavering loyalty and commitment to the APC. The delegation said they have the blessings of the majority of Kono indigenes, including all of the Paramount Chiefs in the District. They called on government to fast track development efforts in Kono District, whilst asserting that Kono people have every reason to support Vice President Foh because of his several good attributes. In a brief and pointed response, the Vice President said that the message from the people of Kono was well received and timely, as it bridges those narrow minded gaps in the country’s unfolding political landscape. This is because as Vice President, he sees this latest development from the people of Kono as clear demonstration of their willingness and readiness to put the nation above self, and work assiduously with President Ernest Bai Koroma and the APC to take much needed development to their home in Kono District. it is my belief the progress of Kono far outweighs one man ambition at this time . Let the politics play itself out. We want our roads and other facilities upgraded in Kono. …Interesting reading… and good radiance! Are all our so called “representatives” really representing the true aspiration of the Konos or just themselves?